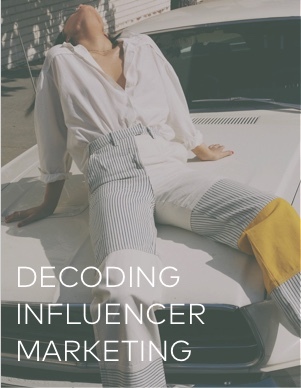 The influencer marketing landscape has yet to shed its wild west sensibilities, but it is maturing. We're seeing the first iterations of formality making their way into the practice, and both marketers and popular Instagrammers are smartening up. We put together this ebook to shed some light on how to approach the most deceivingly difficult (yet necessary) part of social marketing. The ultimate influencer marketing best practices. How to measure the results of your campaigns. How to choose the right partners. What legal concerns you’ll need to contend with. Download the guide now to realize your brand's social media ROI!